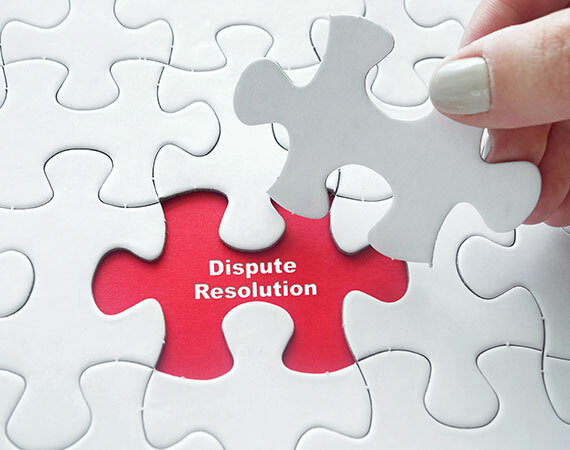 Need legal advice on dispute resolution? It is always in the best interests of all parties involved in property settlement disputes, particularly the Children, if an agreement is made between parties to settle such matters in an amicable manner and this is always the goal we have for our Clients at Advance Family Law. See below to explore the different stages which may be involved in the process of dispute resolution. Family Dispute Resolution, also known as FDR, is a compulsory pre-requisite for all parents or interested persons (like grandparents) who wish to ensure their children (or grandchildren) spend time with them. FDR is a process in which a family dispute resolution practitioner (also known as the mediator) helps people affected, or likely to be affected, by separation or divorce to resolve some or all their disputes with each other. The FDR practitioner is independent of all the parties involved in the process. This process can be accessed through qualified organisations which can be accessed through our useful links tab. Some Not for Profit organisations do not allow legal representation to be present at the FDR conference, but they do advise parties to seek legal advice before attending and allow the parties to contact their lawyers if necessary during the FDR conference. It is also advisable to have any agreement checked to ensure it is workable and practicable for your life and in the best interests of the children. Private FDR Practitioners allow for legal representation to be present to assist you to have a voice and put forward your proposal for a just and equitable agreement and prompt legal advice on offers received from the other party. Private FDR Practitioners can also accommodate the conference to address both parenting and property matters to enable an amicable resolution to be reached whilst conserving costs. We recommend that the process of disclosure of financial documents and valuations be carried out prior to the conference to establish the assets available for distribution. If your ex-partner is being particularly uncooperative and unreasonable, it may be necessary to commence Court proceedings. The Court oversees the parties involved to ensure compliance with the legislation and the children’s best interests are their paramount consideration. The legislation also puts forward strict rules and regulations to assist parties with the requirement to get expert evidence for parenting matters as well as property valuations. Parties are then directed to attend a “Conciliation Conference”, with the party commencing the proceedings paying a fee to the Court for the process. Parties would then attend the conference with their lawyers at a specially designated floor of the Court. The date is set by the Court after complying with Court directions of disclosure of financial documents and valuations of property to ensure there are no disputes about values. It is necessary to prepare numerous Court documents to commence and respond to proceedings. In our experience, and in accordance with current statistics, the chances of settling the matter on a final basis is very high. If no agreement can be reached at the Conciliation Conference, the parties will be required to appear before the Judge at a later date, to be given directions to go to a Trial for the Judge to determine an outcome. Please note that the ability to negotiate and reach an agreement before the Trial or even on the day of is always an available option, and one usually encouraged by lawyers and the Court. Arbitration involves the parties agreeing to appoint an Arbitrator, upon the advices of their lawyer to determine their property settlement dispute. The parties sign an Arbitration Agreement which outlines how such process will operate and to maintain confidentiality in the process. As in Court proceedings, parties are required to evidence their position by filing particular documents and the Arbitrator who effectively acts as a “Judge” in the matter makes a determination based upon such information. The Arbitrator issues an Award which details their findings and reasons. An Award is binding upon the parties and is enforceable as if it were an Order made by the Court. Collaborative Law is a process which allows parties the opportunity to settle both parenting and property settlement matters following separation, whilst allowing them to maintain their dignity and respect. The process is a relatively new process in the scheme of family law, however, is a process which is gaining more popularity, particularly considering the delays in the Family Court system, together with the sense of parties having no control within the Court system. Further, it is a private process which both parties effectively “own” as they both choose who becomes a part of the process in settling matters for their future mutual benefit. How does Collaborative Law work? The Collaborative Law process is similar to the Mediation process, in that both parties are legally represented and attempt to settle matters amicably without the need of seeing the matter progress further through the Court system. The difference with Collaborative Law is that rather than each party being positioned and essentially becoming “opponents”, the lawyers, with the assistance of a mutually appointed financial expert, such as an Accountant, if necessary, or a Child Expert, say a Psychologist, work together to reach an agreement that is best for a particular family. Matters in the Collaborative Law process are solved by way of a series of short meetings, with each meeting usually not exceeding three hours and advice is provided to Clients by both legal representatives in the presence of all parties to ensure the process is transparent. The difference between Collaborative Law and Mediation or any other legal process, is that if an agreement is not reached in the other processes, the next logical step is to initiate proceedings in the Family Courts, however, in the Collaborative Law process, both parties, their lawyers and any other participants sign a Participation Agreement which provides that if an agreement is not reached that the Solicitors cannot act for the parties in initiating Court proceedings. Such requirement gives all parties involved strong motivation to settle matters. The Collaborative Law process is not suited to all matters, particularly where there is an imbalance of bargaining powers, such as in domestically violent relationships. It is a process which may assist in finding a solution where both parties are focused on reaching an amicable settlement, with the least impact upon the family as possible and where both parties are willing to fully cooperate in the process and provide full and frank disclosure of their financial positions. If you would like to speak with a family lawyer about the best manner in which to progress your matter, call our Gold Coast office to arrange a 15-minute free consultation with one of our expert family lawyers. If you’re unsure about what to do next, get in touch with Advance Family Law for a complimentary 15 minute consultation.